Organic dried whole black peppercorns, for use in pepper mills to add seasoning to all savoury dishes. 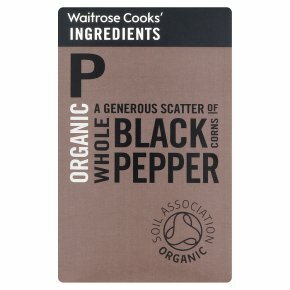 For use in pepper mills to add seasoning to all savoury dishes. Lightly crush and stir into cream or mustard sauces for meats or press onto steak before frying.